Cities are embracing nature-based solutions as a primary pillar of the path forward. The ICLEI Montréal Commitment and Strategic Vision for 2018-2024identifies nature-based development as critical pathway that cities must embrace in this urban century to achieve sustainability. Indeed, a focus on nature-based solutions was a primary theme throughout the three-day World Congress. Addressing the question of how Biophilic Cities represents an innovative approach to scale local solutions, I was a participant in the Urban Nature Forumthat marked a launching point for the focus on planning and designing natureful cities. 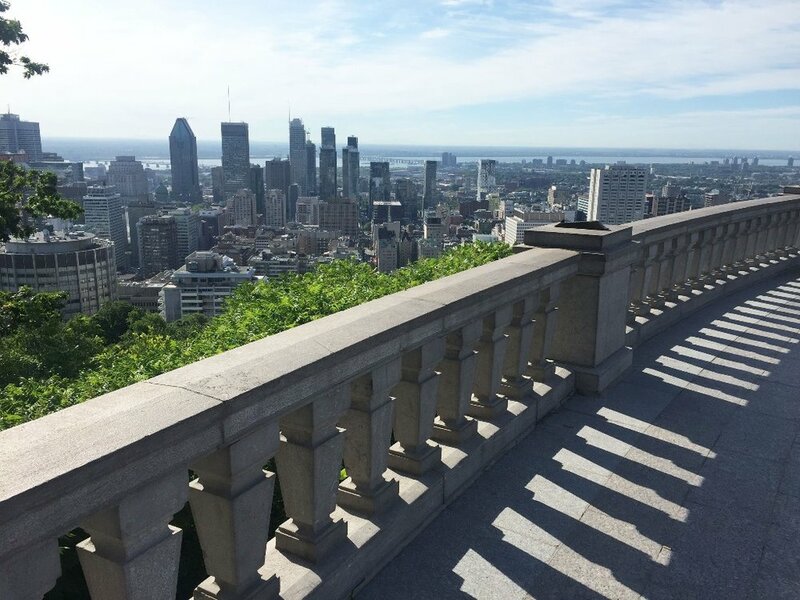 The forum included a blend of presentations from Montréal based practitioners, representatives from city governments and non-governmental global innovators like Biophilic Cities. Marc-André Plante, Mayor of the Ville de Terrebonne north of Montreal, presented forward-thinking initiatives from his city of one hundred thousand residents that leverage debt to invest today in planning and designing nature rich neighborhoods. He called on other regional governments to share in funding these much needed endeavors to spur greater biodiversity across the region and raise awareness of the myriad benefits that result from natureful communities. Montréal City Councilor and Mayor for the borough of Le Plateau-Mont-Royal, Luc Ferrandez, who is tasked with leading city parks and green space initiatives, echoed the bold approach to investing in urban nature now by urging cities to aggressively pursue needed natural amenities in cities despite a lack of universal agreement and understanding regarding the benefits of these amenities. Cities must be the inspiration. He expressed that when projects are put in place, they produce “psychological change” and create overwhelming support for these solutions. Such leadership in Montréal has resulted in the development of more 350 green alleys, the conversion of underutilized streets to green parks, and the recapture of medians as public green space. Green Day (Parc Molson, Montréal). Photo Credit: Caribb (flickr). Presentations from representatives from two members of the Biophilic Cities Network, Mayor Bill Peduto from Pittsburgh and Dr. Limin Hee from Singapore, emphasized the need identified in the New Urban Agenda for the integrated planning and design of cities that meet human challenges and maintain healthy natural systems - a “system of systems” as Mayor Peduto identified. Dr. Hee emphasized an urban system approach to address Singapore’s key challenges of climate change, limited land space and an aging population by pursing integrated solutions to public housing and access to nature for residents. Singapore has adopted the goal of having eight out ten homes in the city within a ten minute walk of a park by 2030. The Center for Sustainable Landscapes at the Phipps Conservancy in Pittsburgh, a certified Living Building. Photo Credit: Tim Beatley. Most poignant and inspiring was a presentation from Severn Cullis-Suzuki. Drawing inspiration from indigenous cultures, she emphasized the power of love as a foundational emotion for our survival. She argued that the end goals for our economies should not be growth but the future we are creating for the next generation, for our children. She urged a return of cities and communities to a more human scale, a scale where people interact daily in the outdoor, public spaces of their community. Cullis-Suzuki believes that the truly sustainable city exists, it’s simply not yet fully in one place. It is spread out among the elements of many different cities that are exploring and implementing much needed solutions. This exploration is evident in the Biophilic Cities Network's partner cities, which are choosing to embrace an optimistic vision for the future and seeking to answer the call for bold leadership. Cities that are designing and implementing initiatives that bring nature into cities as a source of healing and a source of inspiration.